We might as well call December national cookie MONTH! With the holidays coming up it seems like cookies are everywhere...and I so love cookies...but they don't love my waistline! I don’t recommend eating cookies very often, especially if your health goals include losing fat. But a little indulgence now and then doesn't hurt and can actually help by giving you a little psychological break. Make cookies from scratch. The store-bought cookies contain all sorts of processed oils and ingredients that you don't want to put in your body. You wouldn’t add unnecessary ingredients like preservatives, food coloring, and dough conditioners to the cookies you bake at home. Controlling the ingredients automatically yields healthier food! Try adding a health-booster like chia, flax, or shelled hemp seeds (recipe below). All of these “super seeds” are high in healthy fats and nutrients but don’t have a strong flavor of their own. Adding them will increase the protein and fiber without affecting the taste of the cookies. Use organic, non-GMO, sprouted flours. I love sprouted spelt flour. It’s not easy to find (you may have to order it or head to a health food store to find it), but you can use it one-for-one in recipes that call for regular flour and it bakes the same! Reduce and/or replace the sugar. If the recipe calls for a full cup, try using only ½ of a cup. Use natural sugars like maple syrup and honey, or you can find lots of recipes for replacing sugar with apple sauce or banana if you search Google. I use heart-healthy, all-natural peanut butter (the kind that only contains ground peanuts and salt, and that you have to stir) as the base for these cookies. I don’t like an overly sweet cookie so I reduce the amount of sugar and I sub honey in place of the processed and refined white stuff. There is no flour in these cookies so they are gluten free too! However, because there’s no flour, they do have a tendency to burn on the bottom. To reduce the chance of burning simply line the baking tray with a sheet of unbleached parchment, cook on the top oven rack, and check them at least once while baking. Preheat oven to 350 degrees F. Prepare a large baking sheet by lining with unbleached parchment paper. In a bowl, add all ingredients and mix together with a spatula until well combined. Use a spoon to put the batter onto the baking sheet, spacing them about 1 inch apart. Bake for 12 to 15 minutes, or until the edges of the cookie are browning a bit. You may need to rotate the baking sheet once during baking. Remove from the oven and allow to cool on the baking sheet for 2 or 3 minutes, then use a spatula to transfer the cookies to a plate to cool completely. Makes about 12 cookies. I'd love to hear from you! 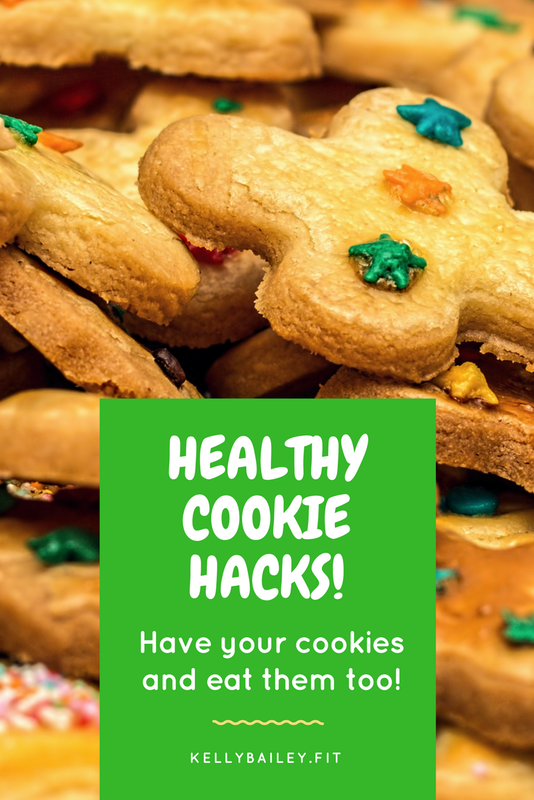 What are you favorite healthy holiday "hacks"?